Take the wheel as Max Damage as you plow scores of vehicles unlucky enough to be in your way. Your soundtrack will be the sound of crunching metal, the splatter of motor oil on the windshield, and the screams of skidding tires. 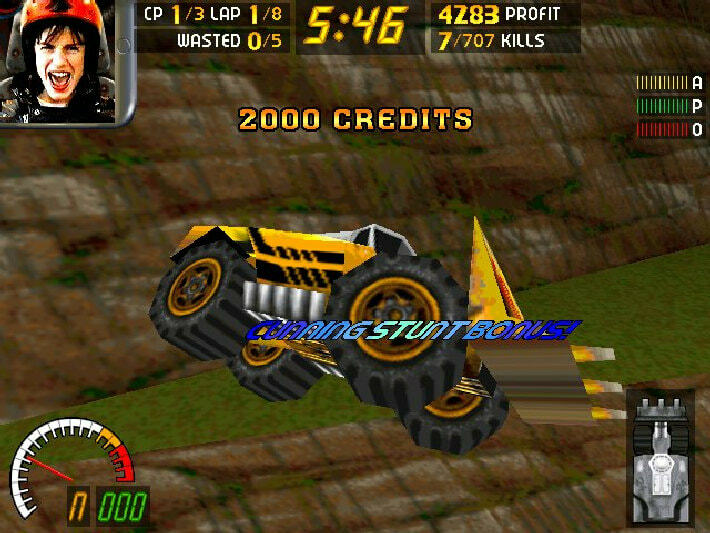 With a white-knuckled grip on the wheel, you’ll have the choice of 23 crashmobiles (from a terrifying monster truck to a high octane Dragster) and 30+ levels of hellish fury and motorized terror. 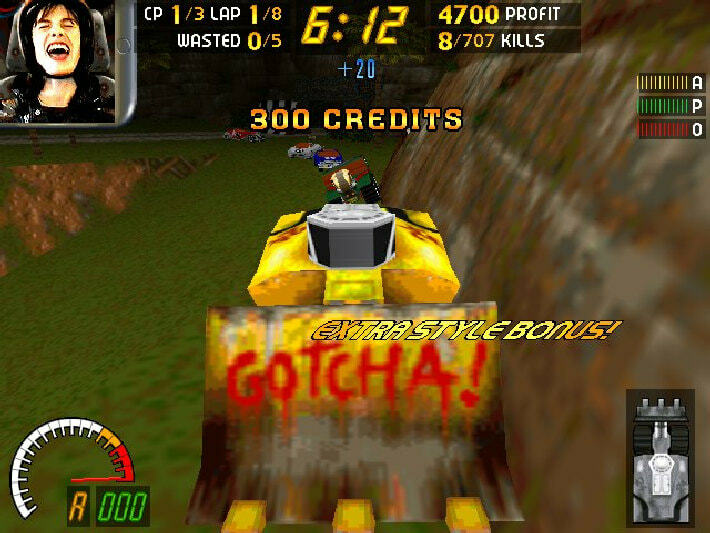 Carmageddon was surrounded by huge controversy. 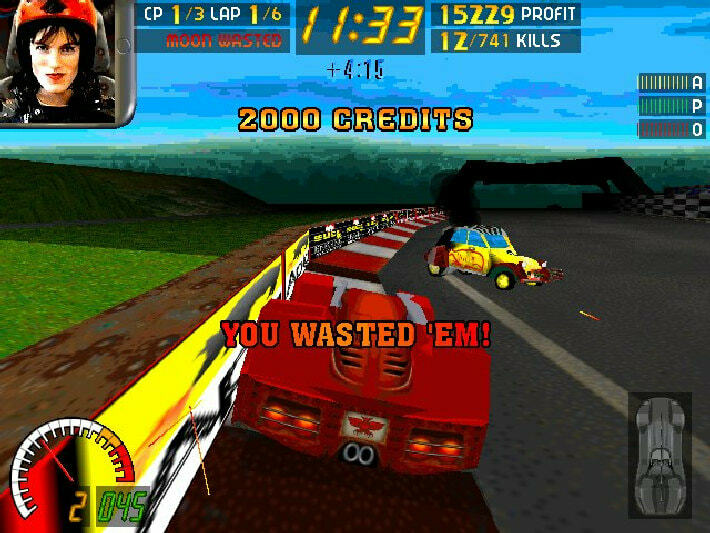 A game about mowing down innocent race cars and getting points for it was not exactly something the world was prepared for back when it released. However, all this noise just made everyone talk about this title even more and it's evident that behind all this fuss there is actually an extremely fun game with very unique and crazy gameplay. Now you can experience it for yourself in its full, original, glory. 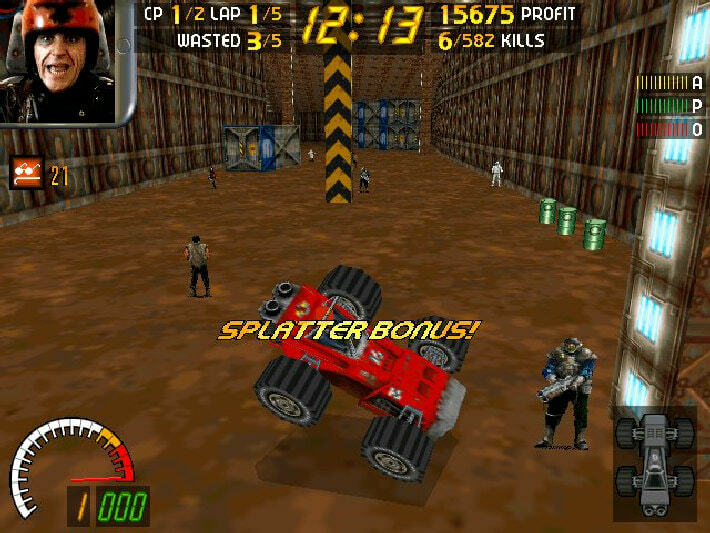 Carmageddon Max Pack includes the original Carmageddon and its expansion Splat Pack. Great track design with a surprising degree of freedom that puts you in total control of how you get to the finish line. Ludicrously satisfying, arcade-style gameplay that features wicked, intense bursts of speed, vehicle damage, and realistic physics. 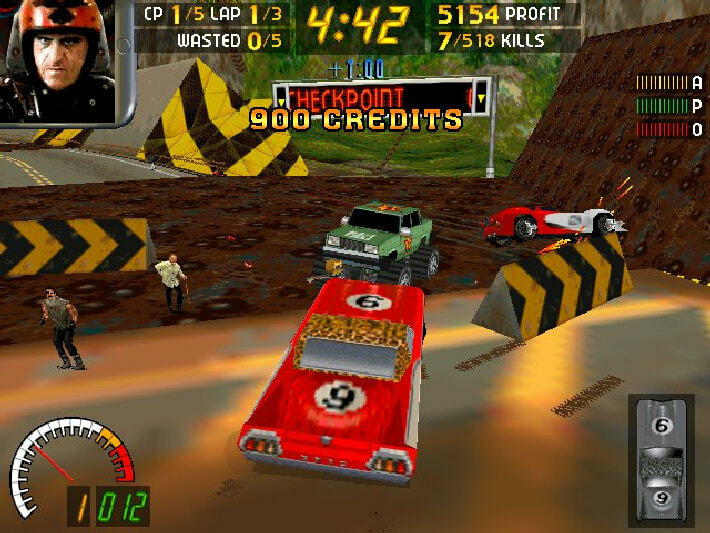 Carmageddon is the original freeform driving sensation, where pedestrians (and cows!) equal points, and your opponents are a bunch of crazies in a twisted mix of automotive killing machines. The game features anarchic drive-wherever-you-like gameplay and over-the-top surreal comedy violence. It’s the racing game where racing is for wimps. Now the same Mac & PC classic that was BANNED AROUND THE WORLD is back! 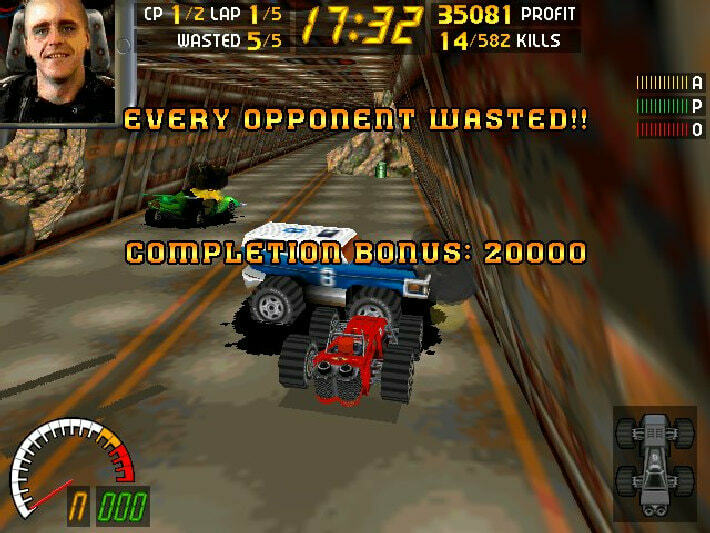 Carmageddon features real-world environments that have been turned into killing fields, where the locals stay out on the streets at their peril. As well as using your car as a weapon, every level is sprinkled generously with power-ups that have a vast variety of mad effects, adding a whole extra level of craziness to the proceedings. In every event you have the option to “play it your way”… Waste all your opponents, kill every pedestrian, or (perish the thought) complete all the laps. Oh and watch out – the cops in their super-tough armoured patrol vehicles are lurking, and if they catch you being bad they’ll be down on you like several tons of cold pork. "Ladies and gentlemen, start your engines! Members of the public, you have ONE minute to reach minimum safe distance!" Crazy range of vehicles and drivers, each with their own personality and driving style. The game that pioneered true 3D physics, The game that pioneered dynamic vehicle damage The game that pioneered splattering grannies. And cows. In fact, splatter a wide range of seriously scared pedestrians. 28 dangerously deranged Opponents 11 wildly exhilarating Environments Career Mode featuring 36 satisfyingly violent Levels Race and Wreck opponents to unlock 30 playable cars! Over 40 fun-packed Power Ups and “Power Downs”. Great open world track design allowing complete freedom to explore. Hidden bonus areas to find. Ludicrously satisfying, arcade-style gameplay. The game that pioneered splattering grannies. And cows. In fact, splatter a wide range of seriously scared pedestrians. Over 40 fun-packed Power Ups and “Power Downs”. 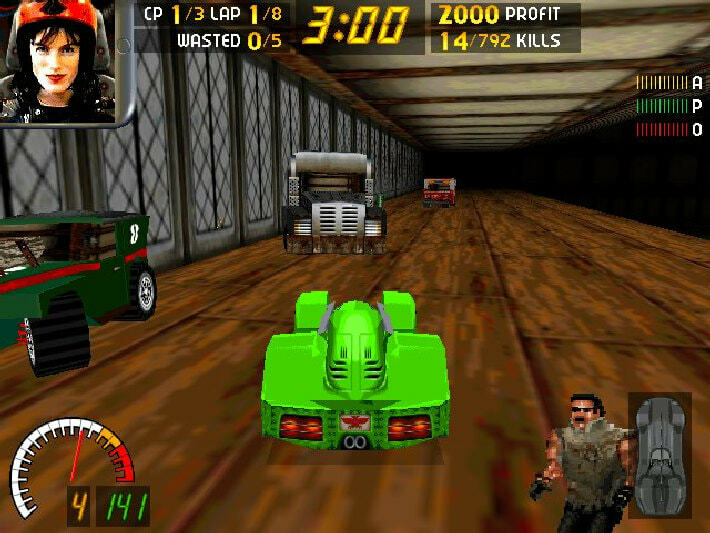 As well as opponents partaking in the 'race', some levels also contain a number of heavily armored Cop Cars, which will activate their sirens and hound the player when provoked. They can be attacked and destroyed, but do not count as opponents. A single "Super Squad Car" exists in one level, and it can be claimed if destroyed. 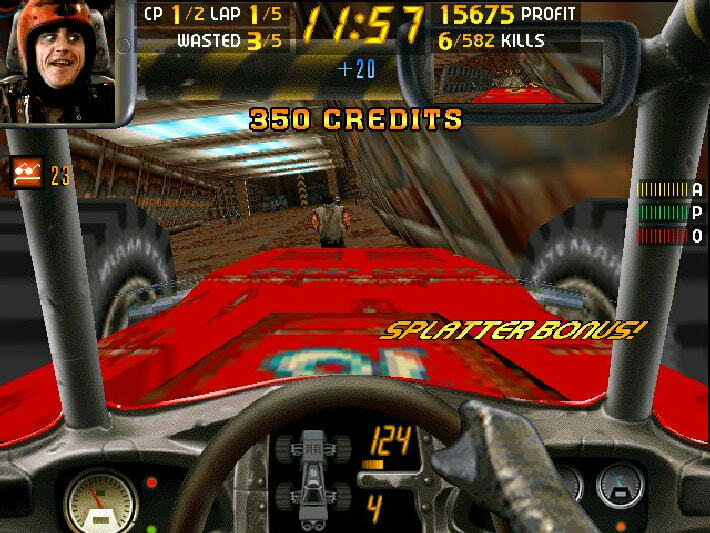 Carmageddon won the “Game of the Year” trophy in the 1997 PC Zone Reader awards. 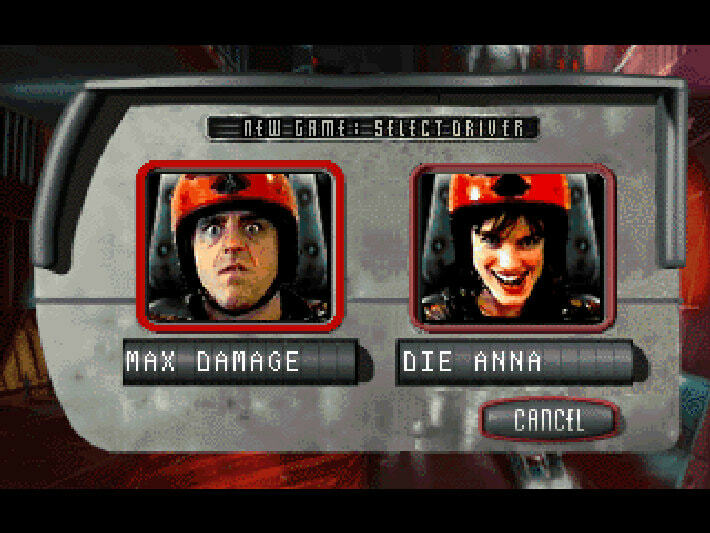 Carmageddon 1 & 2 were “Driving Game of the Year” 1997/1998. 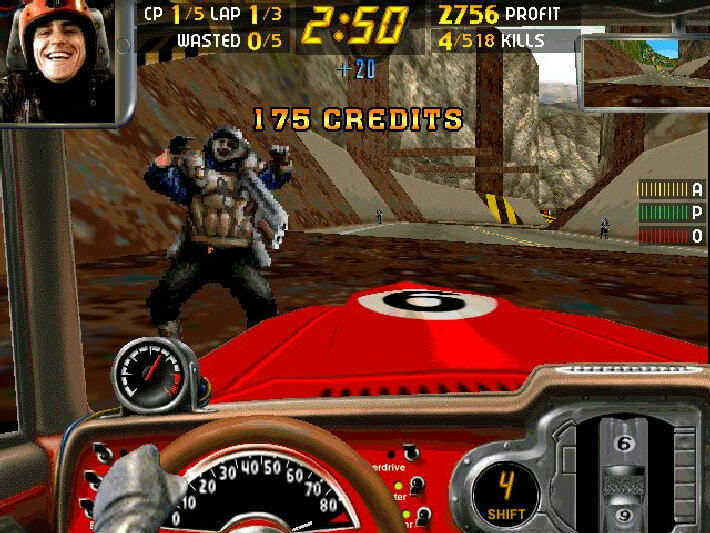 Carmageddon is the first of a series of graphically violent driving-oriented video games. It was conceived and developed by Stainless Games, published by SCi and released June 30, 1997 on PC & Mac. It was, and remains, a poster child for video game controversy. The controversy surrounded the game's central premise; that of earning reward for running down innocent pedestrians. 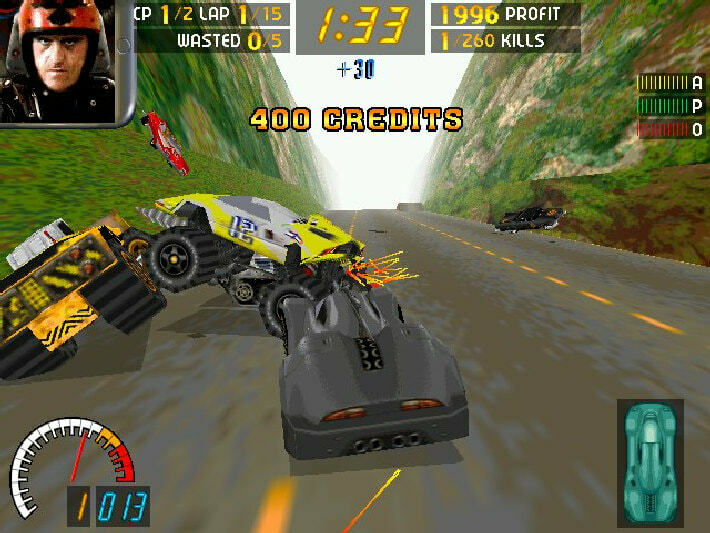 The game was notable for its realistic and ground-breaking physics, and for its in-game action replay features. 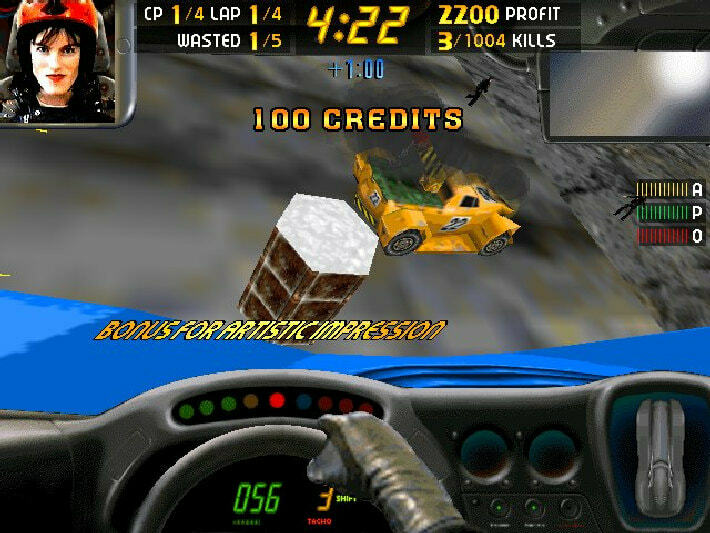 It was also one of the earliest examples of a sandbox 3D driving game, and may have influenced other later games including the Driver and Grand Theft Auto series. Stainless Games now employs around one hundred mad, dedicated people of assorted gender, height and width. They can all be found dangling precariously from a small chalky rock just off the South Coast of England.